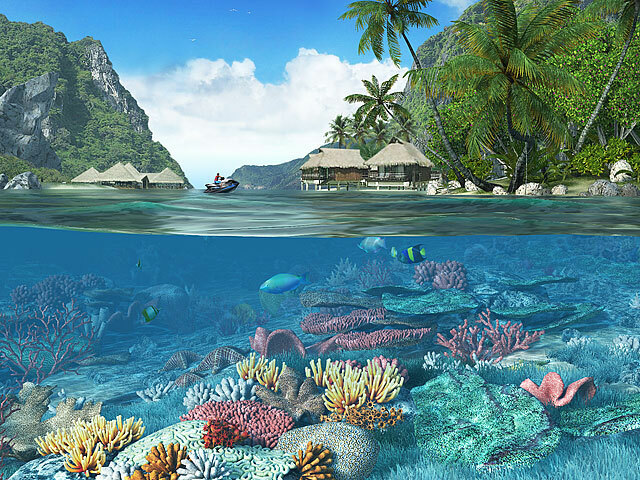 ﻿ Caribbean Islands 3D Screensaver – Witness the beauty of the distant Caribbean Islands! It is a well-known fact that Cristofor Columb made his great geographical discovery when he had reached the Caribbean Islands in 1492. Five hundred years passed since then but today the beautiful views of the tropical islands attract as much attention as it was many years ago. Millions of tourists, especially from Europe, are keen to spend some weeks of their winter holidays – winter in tropics is the most favorable season – on the Caribbean Islands. The mild climate, exuberant tropical flora, an unusual richness of the flora and fauna – all these brings the Caribbean Islands the good name of Paradise. The bunch of famous writers praised the fantastic views of Cuba, Jamaica, Haiti and myriads of smaller islands of the Bahamian archipelago and the Antilles. The Caribbean Islands is a precious pearl in the magnificent crown of the Atlantic Ocean. Their beauty and lively flavor impressed tourists from the different parts of the world. No wonder these islands were the favorite place of pirates. Picturesque lagoons, cozy bays with clean sky-blue water, diverse underwater life make the Caribbean Islands the ideal place for a romantic trip. 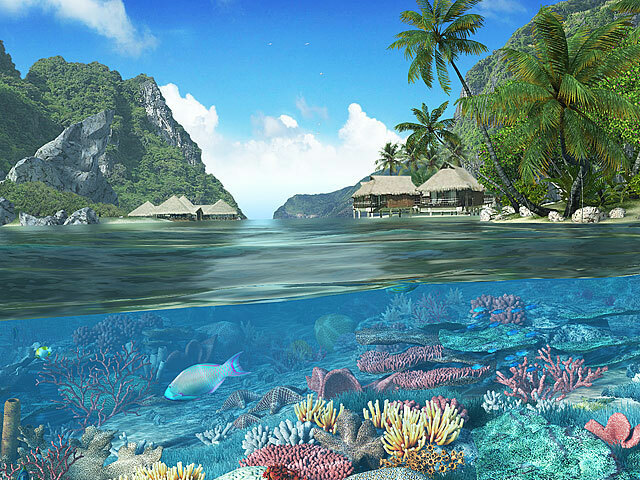 If you are not used taking any information on trust and prefer to see everything on your own eyes the Caribbean Islands moving 3D screensaver will help you. The only thing you need is to download and install the screensaver on your computer or laptop. 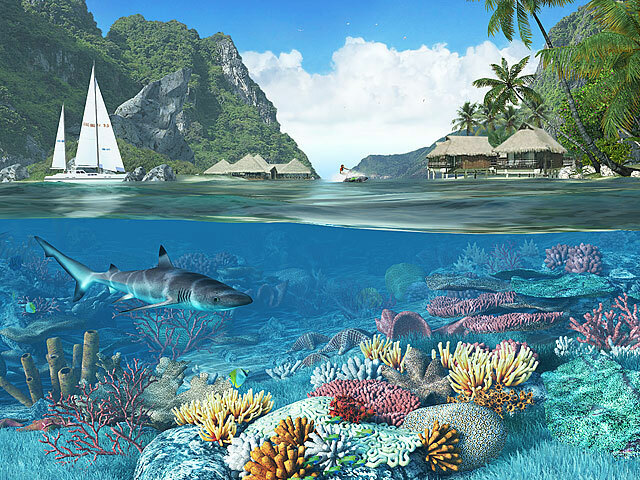 The snow-white sandy beaches, the emerald luxury of the inshore flora, the sea, always warm yet not always calm - all these you can enjoy for hours watching your PC screensaver and dreaming how to give up your business for a few weeks and visit those beautiful places. The screensaver becomes especially popular in cold seasons when it brings a sunny tropical weather and good spirit in every office.